Find Mississippi's mandatory state labor laws all-in-one laminated posting that makes complying with your state's requirements easy. 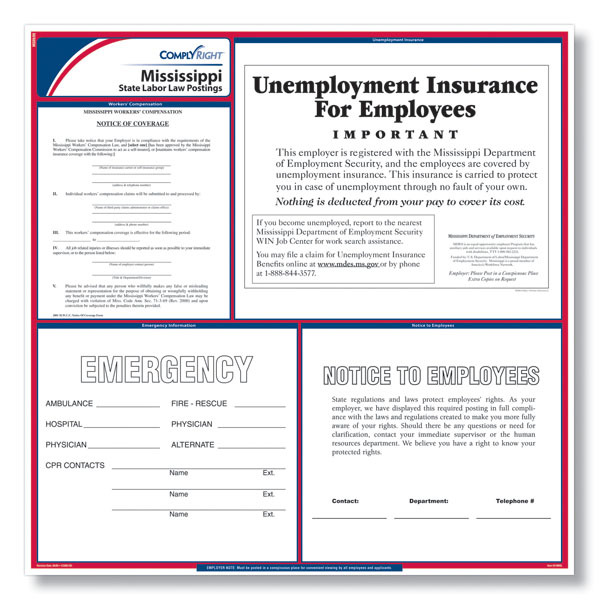 The most up-to-date laws are included in our ComplyRight Mississippi state labor law posters, such as Unemployment Insurance, E-Verify & Right to Work and Workers' Compensation. 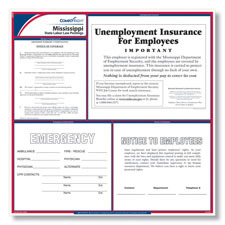 The Mississippi Unemployment Insurance poster was updated with additional information on how to file a claim for unemployment insurance. The poster was also reformatted. This is a mandatory change.